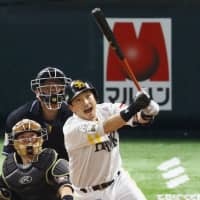 FUKUOKA - The Fukuoka SoftBank Hawks powered past the Hokkaido Nippon Ham Fighters 5-2 on Monday, with five solo home runs from their red-hot batting lineup helping them advance to the final stage of the Pacific League Climax Series. 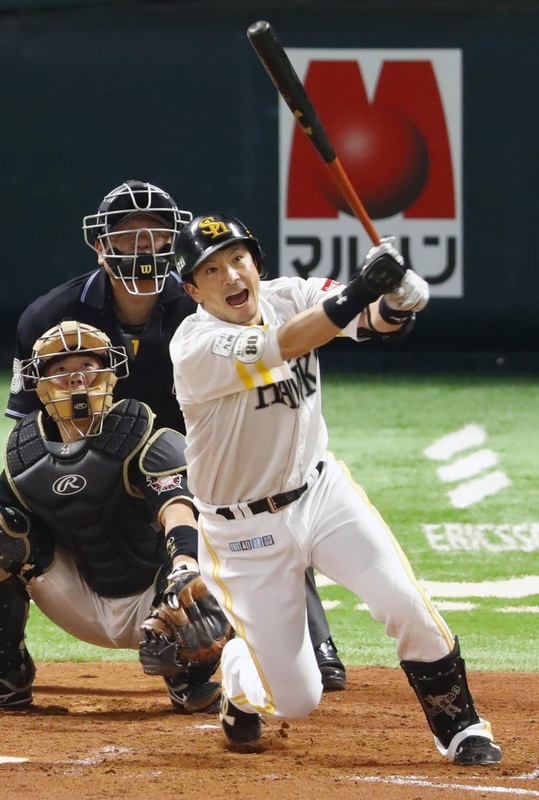 A day after the Fighters evened the best-of-three first stage at Yafuoku Dome, the Hawks improved to 2-1 and reached the final stage for the fifth straight year. SoftBank will face the PL champion Seibu Lions starting Wednesday. Alfredo Despaigne led the Hawks offense with back-to-back homers. His home run off right-hander Toshihiro Sugiura (0-1) broke a 1-1 fourth inning tie. Sugiura was pulled out after retiring the next batter, but righty Kazutomo Iguchi yielded another homer to Nobuhiro Matsuda. Despaigne’s second homer came in the bottom of the sixth against righty Michael Tonkin, after the Fighters scored a run in the top of the inning. With no outs, next-man-up Akira Nakamura went deep over the right field wall to put the Hawks up 5-2. Kenji Akashi put the Hawks on the scoreboard, blasting a first-inning homer to right stands. Sugiura pitched into a jam after issuing back-to-back walks but retired Despaigne and Nakamura to close the inning without further damage. Right-hander Shuta Ishikawa picked up the win for limiting the Fighters to a run on three hits and a walk over 2-plus innings. He took the mound in the fifth inning with runners on first and second base but retired the next three batters. He surrendered a run in the following inning. He allowed an RBI single to Kensuke Kondo after Haruki Nishikawa reached base on a walk. Toshitake Yokoo homered for the second straight game. His shot off Hawks starter Nao Higashihama tied the game at 1-1. Yuito Mori picked up his first postseason save for pitching a scoreless ninth inning.